Today we celebrate our Irish and Scottish heritage and attend our local Highland Games and Festival. I am so excited to go this year. I missed it last year because I chose to go to the Hyde Park Street Fair instead. I think this year I may try to attend both. 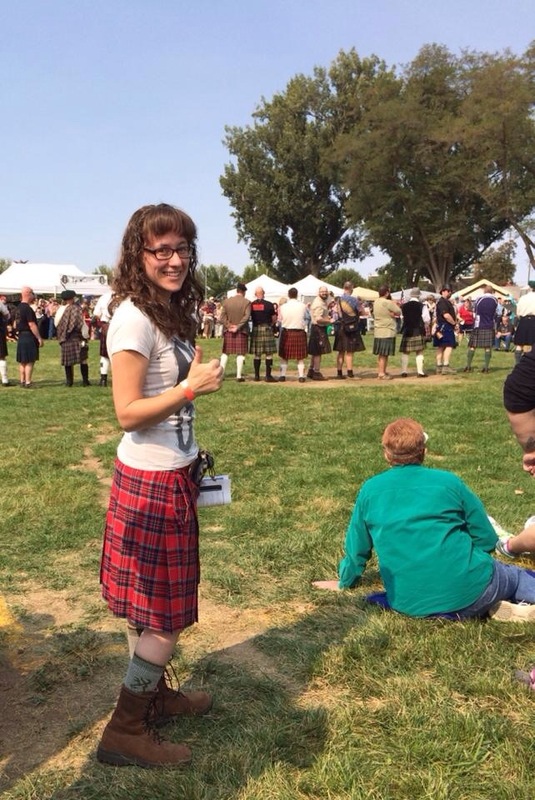 Last year my father put a bug in my ear about making a kilt. 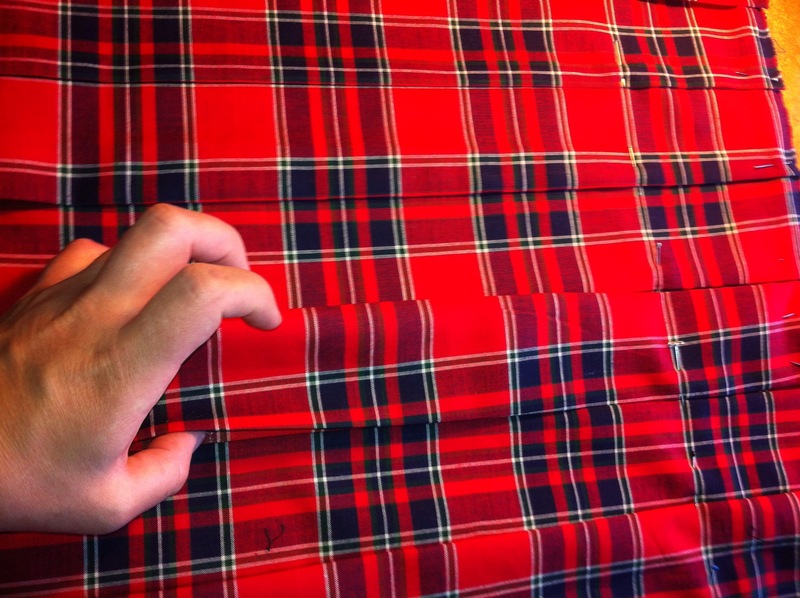 He wants a kilt similar to the Utilikilt that he can wear casually and in the shop. So we figured the best way to go about this was to make a prototype in my size and then get to work on his after a few bugs were worked out. Well I finished mine without the baggy pockets and snaps (I will add later) because I am too anxious to try it out today. It was rather simple to make. Yeah, but you try sitting for a long while measuring and pressing and pinning pleats!!! It was a great process though! I used a combination of two tutorials to make mine. One from Pinterest and the other from Instructables. 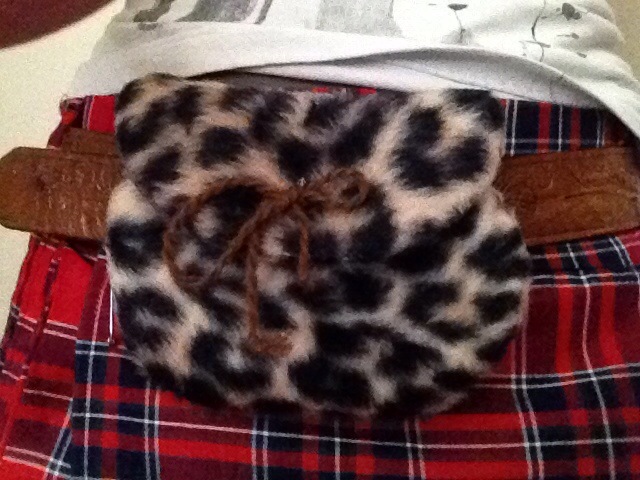 No kilt is complete without a sporran, also known as a belt purse. I have never made one before, so once again I only used prototype worthy fabric. I am not a leather worker so I made mine from some cheetah print costume fabric. • Some type of tie. I like to use poly cord, stripes of leather, or a good piece of yarn! This should be as long as you need to tie a bow and make knots at the end. 1. Make your template. 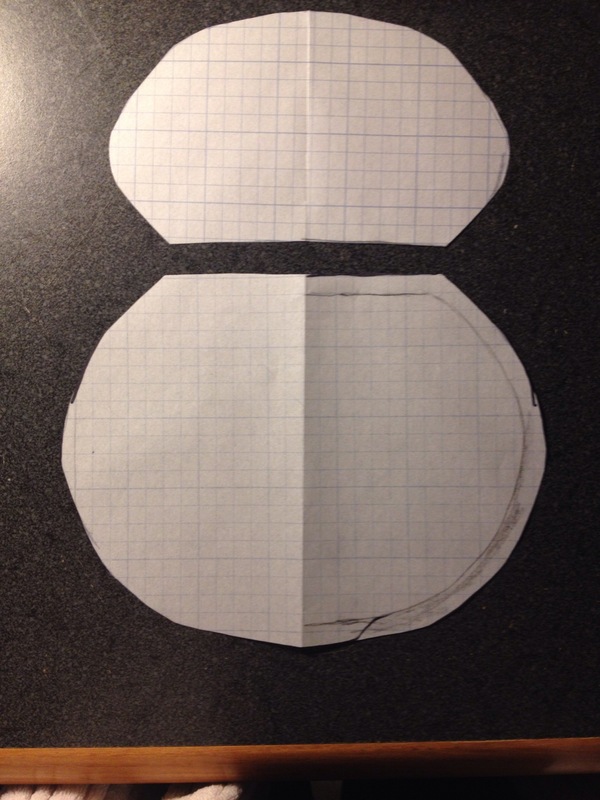 I drew out a basic pouch shape and then used that as a guide for the flap. Make sure to include your seam allowances. 2. Cut out your fabric. I made only the front out of my cheetah print fabric. The rest was from some scrap jeans. 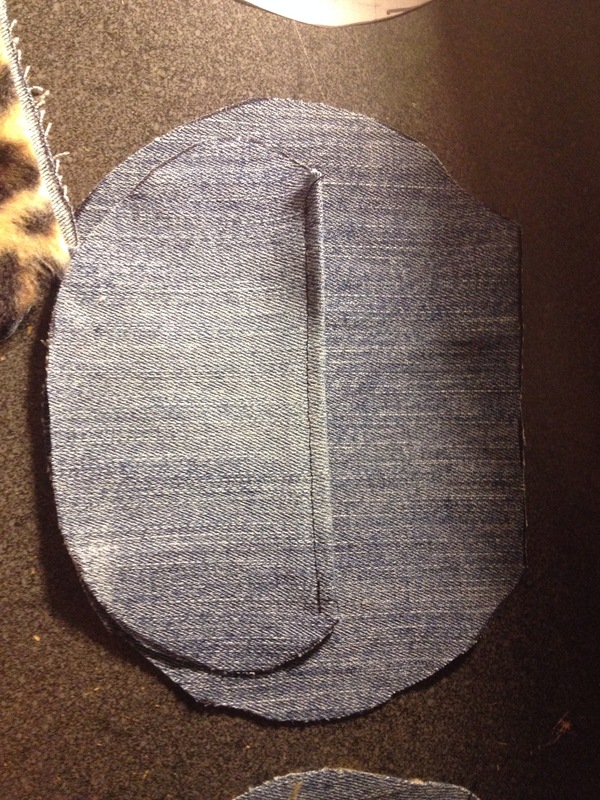 • 3 pieces of jeans using the purse template. 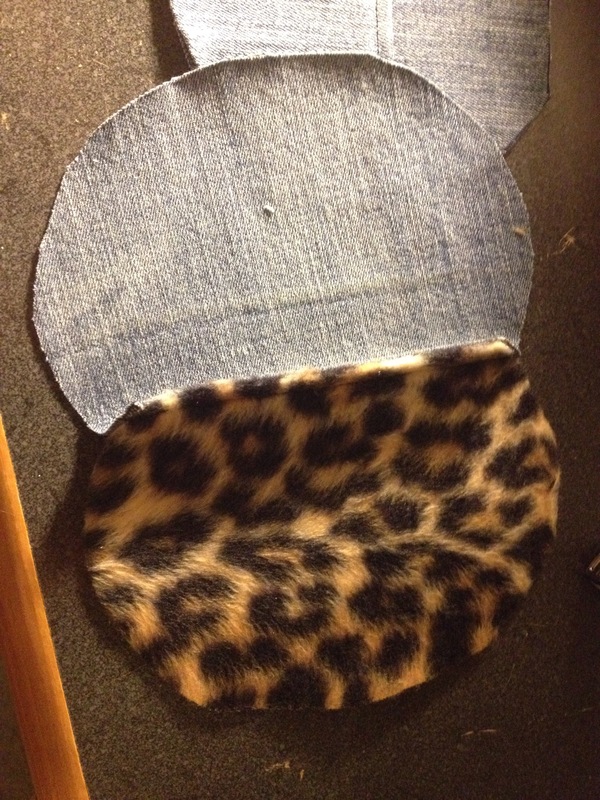 • 1 piece of the cheetah print fabric using the purse template. 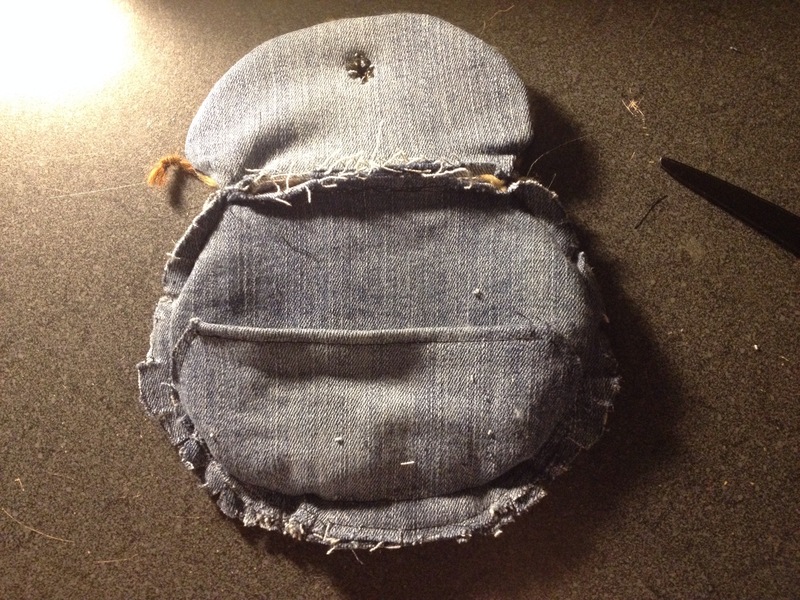 • 2 pieces of jeans using the flap template. 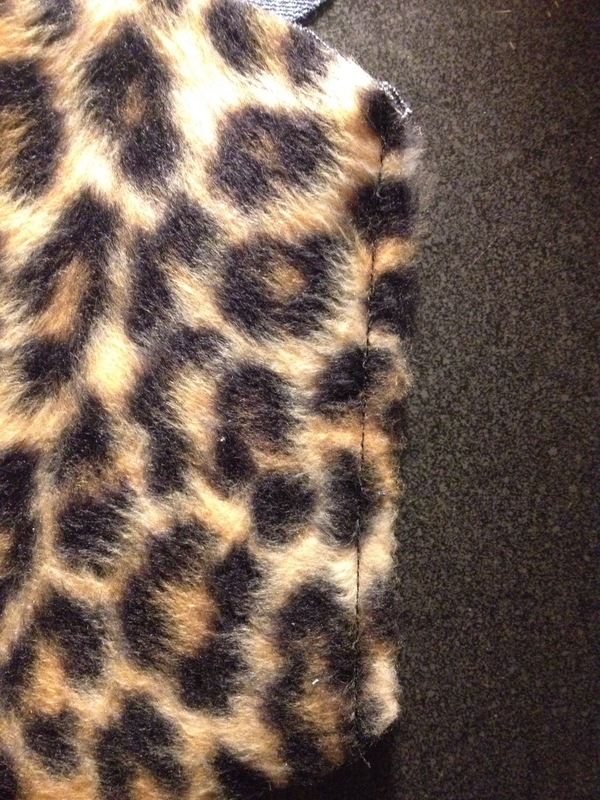 • 1 piece of cheetah print fabric using the flap template. • Make a strip 2 1/2″ wide by the length of your purse plus 1″ for seam allowance. This will be your belt strap. Now my Husqvarna Viking Emerald 116 can sew through 8 layers of jeans but if yours can’t, then you can just do 2 pieces of jeans with the purse template or use a thinner fabric. 3. 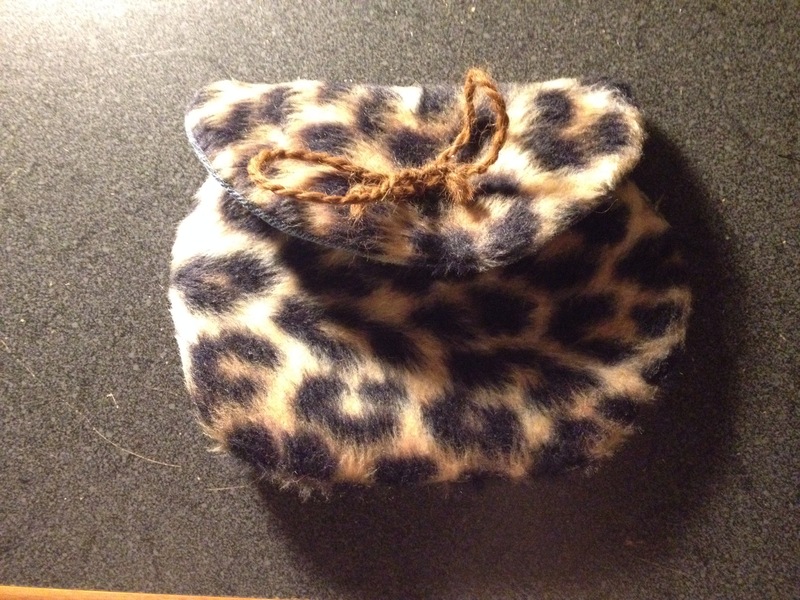 Sew the purse flap together on the curved edge but not the top. Flip right side out and press. with about 1/4″ seam. This will be your pocket. 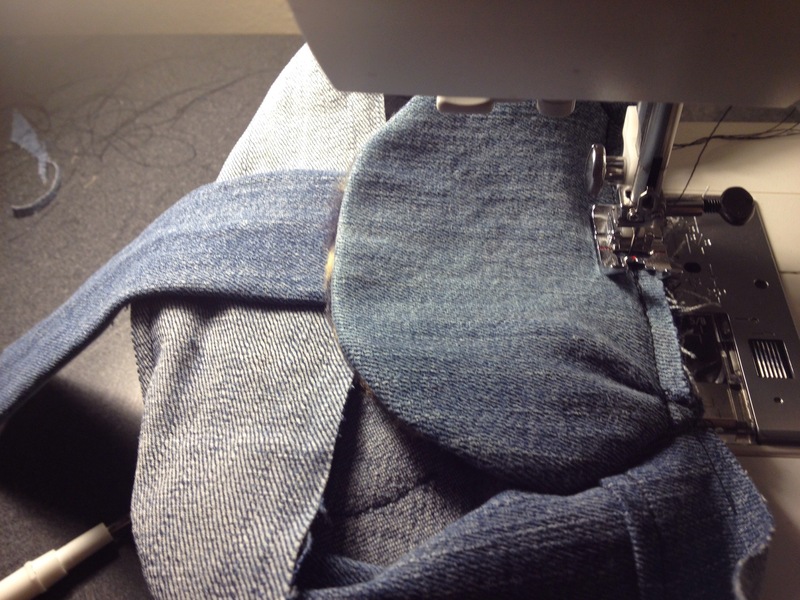 Then sew it along the curved edge to the right side of one of your jean purse piece. 5. 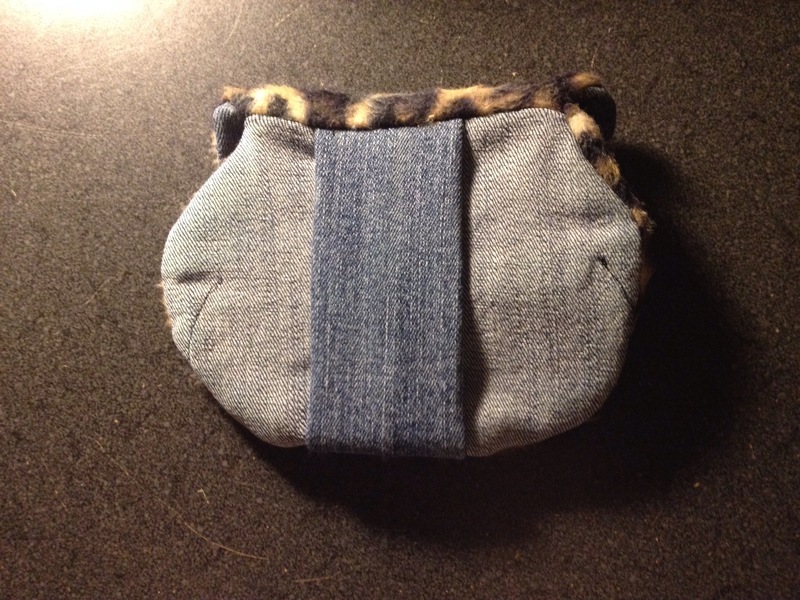 Optional: baste your other jeans purse piece to the pocket purse piece right sides facing outward. to the right side and sew a top stitch close to the top edge. Now baste the two layers close to the edge. 7. 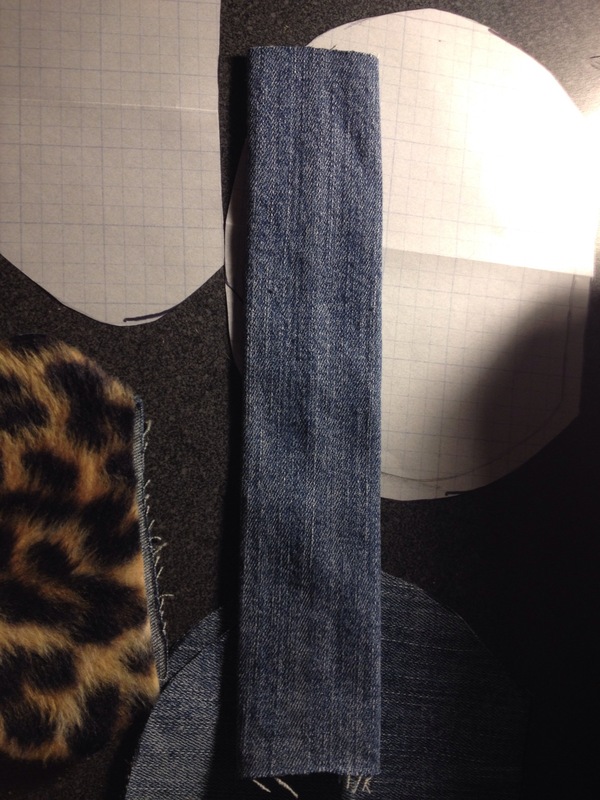 Sew the strap by folding the stripe in half long ways and sewing down the side. Flip it right side out and press. 8. 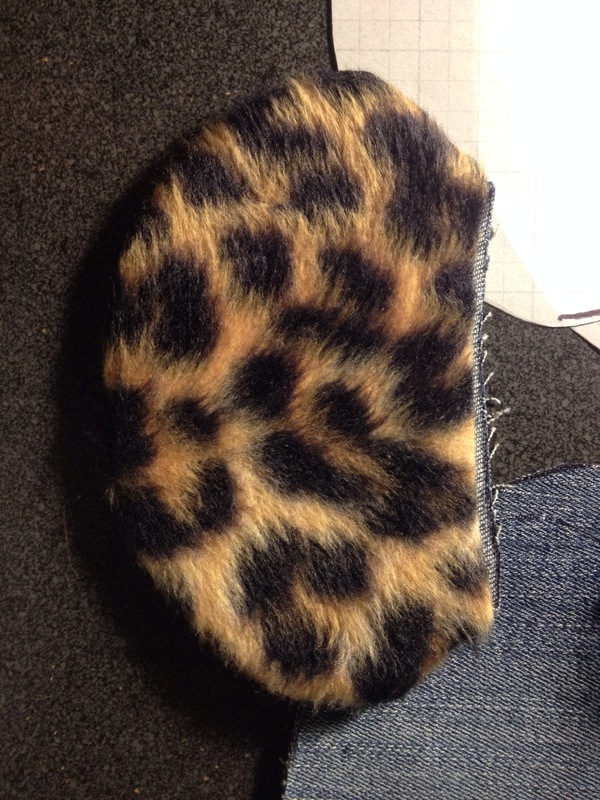 Now sew the back together along the top edge in this order: pocket purse piece facing down, top strap edge facing seam downward, flap with the cheetah print facing downward. 9. 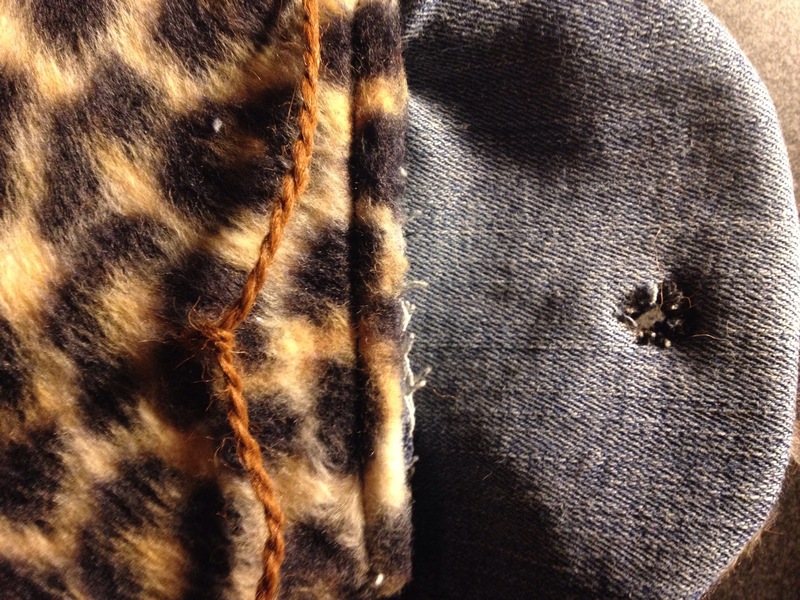 Sew the front and back together by placing the pocket side down and the front piece with the cheetah print facing down. Sew just the curved edge. Make sure to pin the strap down in place and then pin the rest before sewing. 10. Flip right side out and press. 11. Cut a small X in the flap at about 1″ from the bottom edge. Embroider the hole’s edge or add an eyelet to this hole. 12. Mark the spot where the lacing will be on the purse front. 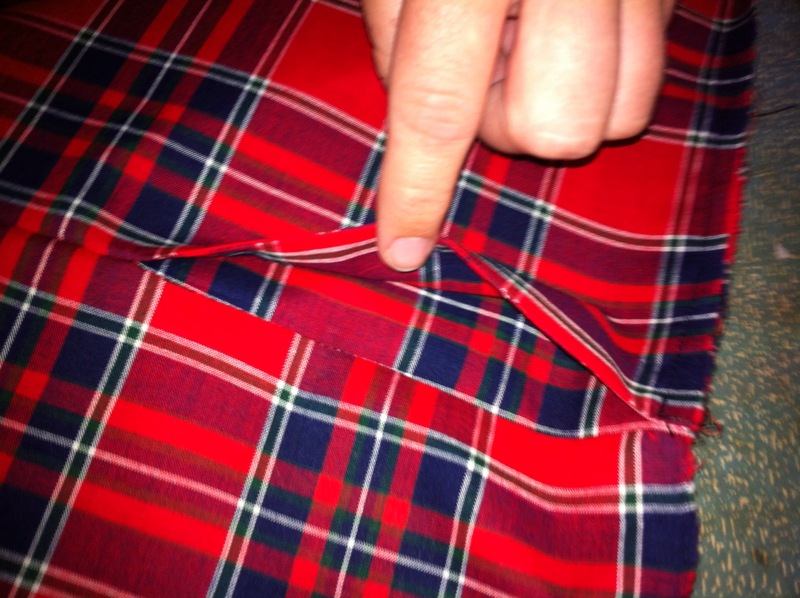 Fold the lacing in half and sew it to the marking in the purse flap. Tie/melt the ends to help from fraying. Feed these through the eyelet and tie into a bow. 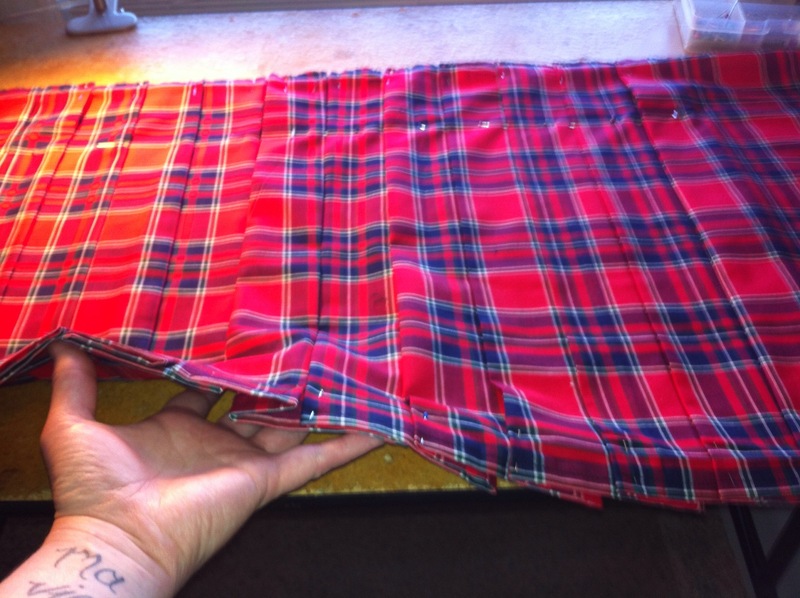 Here are some pictures of my kilt in the process of making it. And here’s how it looks on me! I will post more pictures after the festival!